It’s still winter in the Tri-Cities, but spring is soon on it’s way. With 300+ days of sunshine, it’s no wonder Tri-Cities residents love our parks! Howard Amon Park, located along the Columbia River in Richland, WA, is no exception. 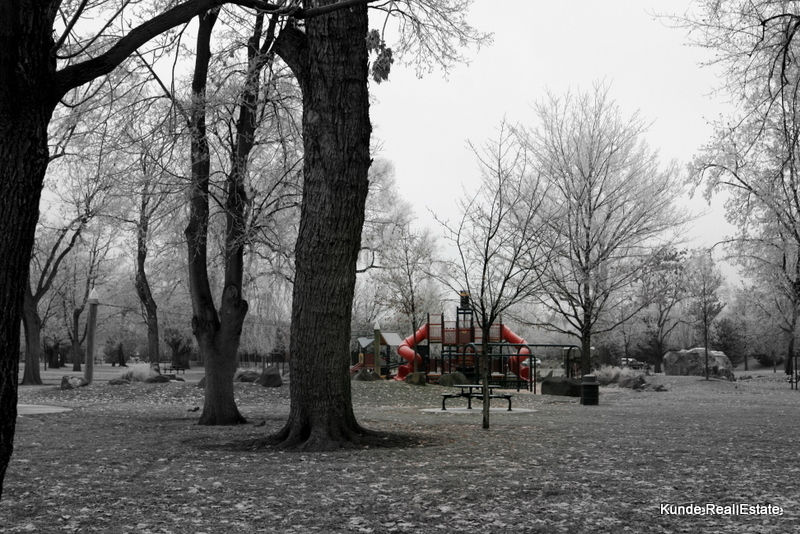 Donated to the city by W.R. Amon and his son Howard in 1911, the 45.91 acre park has undergone many changes. When the government siezed the town in 1943 to produce plutonium for the atomic bomb, the Manhattan Corps of Engineers laid out a new town, knocked down the park’s entrance marker, but retained the park. Indirectly it became known as Riverside Park by the new residents who had never heard of Howard Amon. In 1968, the park was restored to its original name acccording to this 1968 Tri-City Herald Article. The park has a playground, a wading pool, tennis & basketball courts, swing benches, boat docks, and an outdoor stage named “The Ellipsoid,” known locally as “The Fingernail.” The park includes a portion of the 26 continuous miles of paved walking/bike trails that meander through the Tri-Cities. From the park you can walk to the Allied Arts Gallery, the CREHST museum (Columbia River Exhibition of History, Science, and Technology), or The Parkway–home of many local restaurants & shops, Wednesday Famer’s Markets, 1st Friday local art night, and the Richland Player’s Theater. Before you head back to the park, stop by Greenie’s, where you can rent kayaks, stand-up paddle boards, & bikes (including electric & tandem) to make your day even more enjoyable. With so much abundant local flavor and fun, Howard Amon Park is one of the Tri-Cities’ unique destinations for local recreation! Please call us if you need help finding a home in the Tri-Cities or surrounding areas, we’d love to help you out!